talk about the thermal fuse? Some ideas and help needed. seems like the 230c would be perfect on the hotend heatsink. If the heatsink gets to 230c something is very wrong, correct? This would cut off the heater cartridge and save a fire as it should with PROPER MOUNTING activate before the hotend is over the ignition point of anything? I keep hearing about how there are no good thermal fuse solutions, this was the first manufacturer for SF style spring/material melting activated I looked at. and it seemed like there are options, so why are we not using these again? I googled spring activated thermal cutoff after thinking of the concept, likely from some earlier introduction to it, and making my own out of an XT60 connector and a strong small spring from my parts bin. So seeing that image of a industry standard SF thermal fuse, and before that having made a simple one. It just seems sort of a lack of effort that we do not have this as a standard feature, not any actual limitations from industry or our own abilities as a community. I cut the XT60 in half and used one side of the male and female, did some cutting and sanding, and made a clip out of PLA to hold the two together with a spring in between. This is effectively a SF style thermal fuse specifically for PLA. Making the clip out of ABS would make it specific to ABS temps. Down to the last two test springs! It has happened before... Bonus mystery spring supply will be discovered someday, likely accompanied by missing socks. Needs to be heavier spring anyway, but you get the idea. With a heavy enough spring any loss of material strength on the retaining clip is going to separate this unit. If the female end is the positive side from the board or relay it shouldn't be able to short on anything. Mounting it on the hotend heatsink should in theory cause the clip to melt and the connector to separate, cutting of the power to the hotend. I thought of many different ways a part made out of the filament being printed could retain a spring, and when the hotend heatsink becomes warm enough to deform it the spring would expand causing a connector to separate. Much of it depends on the shape of the heatsink determining the configuration. I am NOT using this on my printer, but I am making prototypes to test on a testbed of some sort. Initially a soldering iron made a unit function exactly as intended... but yeah thousands of tests later I would use a unit, tested under real world conditions on an actual printer with the firmware set to a failure mode of full heating and locked up motors. As well, different angles of mounting, different ambient temps, and especially how a user can interact with and cause it and cause it to perform in some unintended way. All the things that go into a PRD, Product Requirement Document as I was taught it from an Industrial Designer's input perspective. Pages of detail of every possible misuse and how to prevent them. I would love some help testing a reference design for an easily built mechanical FAILSAFE, which requires every mode of failure separates the hot end power without shorting it. Period. No failure mode with proper installation would result in anything other than a safe situation. Annoying failure in the middle of a long print is an entirely different thing, and much less important than absolutely safe. Replacing a cheap safety device every few months is totally resonable to me, and seems within a not to difficult design envelope. Replacing a cheap retaining clip before starting a 60 hour print to ensure safety seems resonable. It is not beyond the community or even an individual to make this. It just takes effort. Seems like a simple mechanical spring activated cutoff using the filament being printed would be a very good thing, it could, with a light enough spring retainer, deform if one has melting in the throat and PTFE tube area, stopping clogging issues and alerting the user to an issue with buildup of heat above the heat break. Thoughts on that link to thermal fuses, and on making one with a replaceable printable clip that would function for the specific filament? Also, unless you are an engineer do not try this in a real life situation please. I am not an engineer thus I am seeking help from qualified individuals to make it safe. I think it might work, it looks like it might, is NOT safe, it takes actual testing and analysis. Again please do not go making your own from what I posted unless you are qualified to test and evaluate. THIS IS NOT A PRINTER PART! THIS IS SIMPLY A VISUAL EXAMPLE OF A CONCEPT! Edited 2 time(s). Last edit at 08/13/2016 09:43AM by Milton. Re: talk about the thermal fuse? Some ideas and help needed. I like the idea of using a thermal fuse on the hot-end heatsink. They don't make thermal fuses that operate at heater block temperatures, so moving up to the heat-sink is a good idea. The problem is correlating heater block temperature with heats-sink temperature - where do you put it on the heat-sink to ensure safe operation? If the heat-sink fan dies, the thermal fuse may blow- and that's OK. But can you guarantee it will blow if the fan keeps running? Will it matter? Those fuses can be wired in parallel to protect against bed heater problems, more likely to become a big problem because of the power. They should be thermally coupled to the bed/heater. I was thinking about this and had some input from Ryan C on Google groups, and had the thought that I need to know the thermal gradient of the hotend assembly from the heater core through the heat block to the radiator. I could have done it in Solidworks as I was just learning simulation, but my academic license runs out in 5 days I am transitioning to Fusion360, hopefully I can do this in an Autodesk software in a month or two when I have transitioned more fully). I have noticed that the heater block and heatsink are usually separated by a small section of the hotend throat tube exposed. An aluminum heatsink with a heatpipe could be mounted between the two parts, a plate with a set of holes and a small loop of a fluid filled heat pipe that would wrap around the throat tube, and then loop around a thermal fuse mounted in a hole through the plate (vertical alignment). This would conduct heat to a thermal fuse directly from the top of a heater block and allow a much better thermal gradient design. Based on the heater blocks mass only, instead of the heat block, throat, and heatsink. Just the heater core fit into the heat block and the contact with the thermal fuse holder on the top of the heat block as material changes and fit/installation issues. This would make a simple add on part that holds a fuse and has an predictable thermal gradient function possible, maybe? As an example if the block is held at 210c then the fuse mounting plate on top should be within an expected range somewhere below that but near enough that a thermal runaway is going to pop the fuse at 270c, the highest SF type thermal fuse I googled so far. Issues of the fuse creeping with thermal load/unload due to the nature of thermal pellets in SF type fuses was mentioned by Ryan C. It makes me think an open fuse that is easily inspected and the thermal pellet replaced would be better than the industry direction of small closed unit that is intended to have very high quality control that is out of the users view to inspect. I would rather have a slightly larger unit, which does not mean a huge amount of added weight, just a more open structure that allows visual inspection and maintenance. There are some thermal fuses rated for 280C - I have some coming in the mail. My first thought is to remanufacture the aluminum heater block to be a bit bigger with two 4mm holes in it. The 4mm holes will snugly hold two 280C thermal fuses. 240C is about as hot as most plastics need, so there is some headroom up to the 280C trip. It's unlikely that normal operation will cause trips or fatigue failures. 280 might even cover some of the higher temp stuff. It would certainly trip before you reach the ignition temp of PLA or ABS, and before the heater block aluminum softened and failed at ~580-660C. Why two? To mount two of them in a U, returning the series connection to the same side of the block that it started with, so wiring is easier and doesn't have to go around the block, and to have a known-good spare already in place in case you get a spurious failure. My concern is with the repeated and prolonged exposure to heat just under the trip value. Can these things function at 240 for perhaps years, and still trip at 260 for example. There is a fundamental idea in engineering - if you can't make it work forever, make it easy to fix. Yes, that adds cost and perhaps adds the need for preventive maintenance, but it also sidesteps possible catastrophic failure. It's why air, water, and oil filters are replaceable. I like the idea that a replacement thermal fuse can be removed and a new one inserted quickly. If the design is good on the hot end heat block, you may not even have to take the hot end off the machine. Thermal fuses are pretty cheap once you find a source for them. I got five 280C devices for a nominal price from ebay. Tracking that back to the manufacturing source ought to make them even cheaper. I'm guessing that you could get them for well under US$1 each. That gets replacement thermal fuses down in the cost of filament. So run the hour timer on your printer, and replace them every X hours. X is probably up in the hundreds if not thousands of hours, so this is pretty cheap. Keep the old, but un-tripped ones in a special bin for emergency replacements, and put new ones in the hot end every so often. Upon reflection, I bet the thermal fuse manufacturers offer life projections for how many hours at temperature and on/off heating cycles (which is often far worse for aging equipment) they can take and still be reliable. A thermal fuse that could be positioned between the heatsink fins, even just bonded with superglue would be a simple solution. You would not need high temp fuses the heatsink should not ever be very hot unless the fan fails or there is a thermal runaway for whatever reason. 150 deg C should work midway up the heat sink. 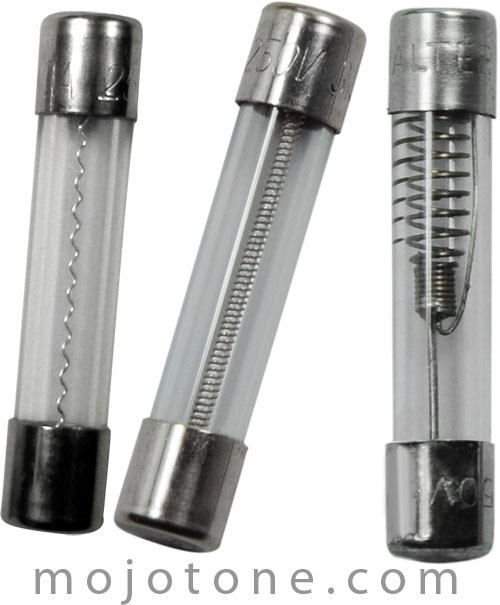 If you build a standard spring based glass fuse and solder it with Bismuth caps, you have a thermal fuse. This is of course just an idea.. someone needs test it. Edited 1 time(s). Last edit at 01/10/2017 02:43AM by Dust. Well along the same lines, there must be low temperature solders available which might melt at an appropriate temperature. You could make something similar with low temp solder, place it in the heatsink. The solder will melt hopefully long before the aluminium of the heaterblock/heatsink. EDIT - Turns out most low temp solder contains bismuth - my bad. Edited 2 time(s). Last edit at 01/13/2017 06:43AM by DjDemonD. All I can find locally are 240c thermal cut outs. I got some 150c fuses to try out for the heated bed. The data sheet has a lot more useful information. Particularly about continuous operation. Note 4: A general rule of thumb for continuous operating temperature for thermal cut−offs is 30C less than the Maximum Opening Temperature. So in the case of the 240c part, only 210c. I'm thinking it wouldn't be too hard to attach it to the heatsink of my Titan Aero.